The Motorola Scout pet cam is a fully pet monitoring camera with video. It’s the perfect solution for dog, cat or other pet owners to keep an eye on their beloved one while they’re out. Just download the free app for the pet camera app and start tuning in to your pet at home, wherever you are. You can access the Motorola Scout pet monitoring camera from your smartphone, tablet, or computer. It will live stream HD quality video of your dog or cat. All you need, next to the pet cam, is internet access via Wi-Fi. Discover all the features of the Motorola Scout pet cam below. Once you have the Motorola pet cam in your house, you can interact with your pet when you’re out. All you need is your smartphone, tablet, or computer. After you installed the free Hubble app by Motorola, you open it and tune in to your pet. The Motorola pet camera – also referred to as dog camera, cat camera and even live puppy cam – will show you your pet in real time. You can talk to your dog or cat and your pet will hear you, and you will also be able to hear your pet responding as well. This is a pet monitoring camera with unique two-way interaction with a high-sensitive microphone. The Motorola pet cam has motion triggered recording capabilities. This functionality will make your pet monitoring camera take snapshots and videos with a push of the button. This feature is already available for Android users and will soon be released for iOS users too. It allows you to store image and short video snapshots on your smartphone, tablet or computer directly. Next to the motion and sound notifications, this pet cam also provides temperature notifications. Watch your pet in real time – Worried about your pet when you’re out? Tune in to the Motorola dog camera / cat cam and relax because you see your furry friend is just doing fine! Remote HD quality video streaming – Stream HD (720p) video with sound to your smartphone, tablet, or computer. 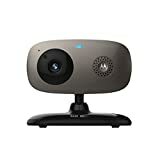 All you need is internet access and the Motorola doggie cam being connected to the internet. .
Two-way interaction with your pet – Motorola pet cameras are known for their two-way interaction between pets and their owners. You can hear your dog or cat, and vice versa. This provides for hours of fun! Free app – Download the Hubble for Motorola Monitors App. It is easy and straightforward to set up and connect it to the pet camera. Set motion notifications – You can set up motion-triggered notifications where the dog cam will send a snapshot from to your smartphone or tablet whenever motion is detected. Extra: set up motion-triggered recording – If you want all the video to be streamed, you can set up the additional Cloud Video Recording (CVR) service. All the videos will then be stored securely in the cloud which you can access when you have time. You can choose 1, 7, or even 30 days of motion-triggered video recording! Highly sensitive microphone – The microphone of the Motorola pet cam can pick up the softest of sounds. With the sound notifications you will be noticed of these. Get sound notifications / alerts – The Motorola pet cam can be set to provide sound notifications. In this way, you know exactly when your dog or cat makes sounds. This enables you to detect early on if your pet is ill or in need for example. Infrared night vision – Is your pet in a badly light room or do you want to watch him at night? This is perfectly possible with this pet monitoring camera with infrared night vision. Is also the perfect live puppy cam – Are you having a puppy and concerned on how his thriving when nobody’s home? The Motorola is a perfect live puppy cam too! 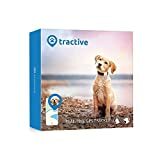 What’s even more, your puppy will learn early on to interact with the live puppy cam and both you and your dog will benefit from this when he gets older. Temperature notifications – The Motorola Scout dog camera can monitor your home’s temperature . You can then set up alerts if it gets too hot or too cold for your do or cat. Package includes Wi-Fi camera, power adapter, quick start guide, and user’s guide- all to increase your cat or dog’s well being. The Motorola is a qualitative pet cam that you can buy for a very affordable price. It lets you check upon your pet in real time through your smartphone and interact by voice. It has sound, motion and temperature notifications as extras. The Motorola Scout pet camera is different from the Petcube camera and the Petzi treat cam. The Petcube camera offers a laser game you can play with your pet from your smartphone. The Petzi treat cam on the other hand is distinctive by its treat dispenser. The Petzi’s treat dispenser allows you to provide little treats to your dog or cat remotely. Both the laser dot game and the treat dispenser are a great means to keep your pet engaged and happy. If you want both features, you can go for the higher end dog camera treat dispenser Pawbo. Be sure to have a look at our other pet cameras. The Motorola petcam offers great value for its price. However, it doesn’t have a treat dispenser or a laser game. As a pet owner you may not need or want these extra features, and then the Motorola is a really good choice. I like the quality of the Motorola Scout pet monitoring camera: it’s available for a nice price and offers next to the basics some cool extras. Think about the infrared night vision, as well as the sound and motion-triggered notifications. Wat’s more, this pet cam lets you connect to the cloud to store lots of images snapshots and video which you can download and watch any time. The Motorola Scout pet cam offers great value against low cost. You can watch your pet live in HD quality videos streaming with sound, wherever you are. All you need is the petcam and your smartphone, tablet or computer connected to the internet. You can set notifications whenever your dog or cat moves around or makes sounds. The Motorola dog cam has a sensitive microphone which enables you to hear the softest sounds your pet makes. These are great ways to keep an eye on your pet’s wellbeing and get alerted soon when your pet gets ill. On top, this pet monitoring has infrared night vision which enables you to see your pet even in a badly light room or at night. This petcam is a good choice for pet owners who love a good basic petcam without too many extra features. Also check our complete list of best pet cameras on the market.